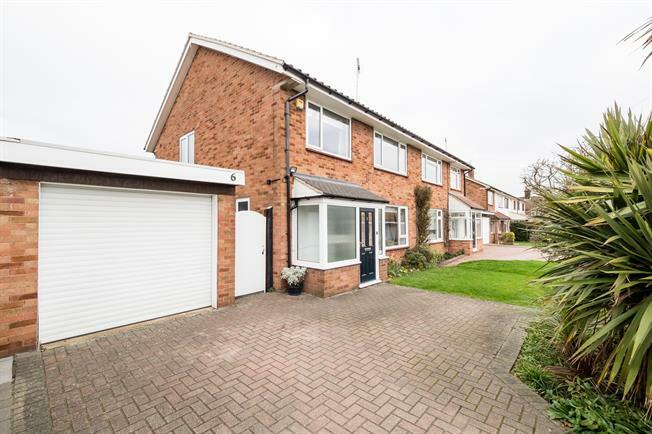 3 Bedroom Semi Detached House For Sale in Chigwell for Asking Price £594,950. Situated close to Hainault Forest is this spacious three bedroom semi-detached family residence which stands on a good size plot with scope to extend subject to planning permission being granted. The dining room overlooks the secluded garden with an extensive lawned area, mature trees, plants and shrubs. There is another reception room which overlooks the pretty front exterior. The first floor has three bedrooms and a family bathroom. The double length detached garage to the side is accessed via the front remote electric roller or side entrance. There is off street parking to the front of the property with scope to increase the driveway.